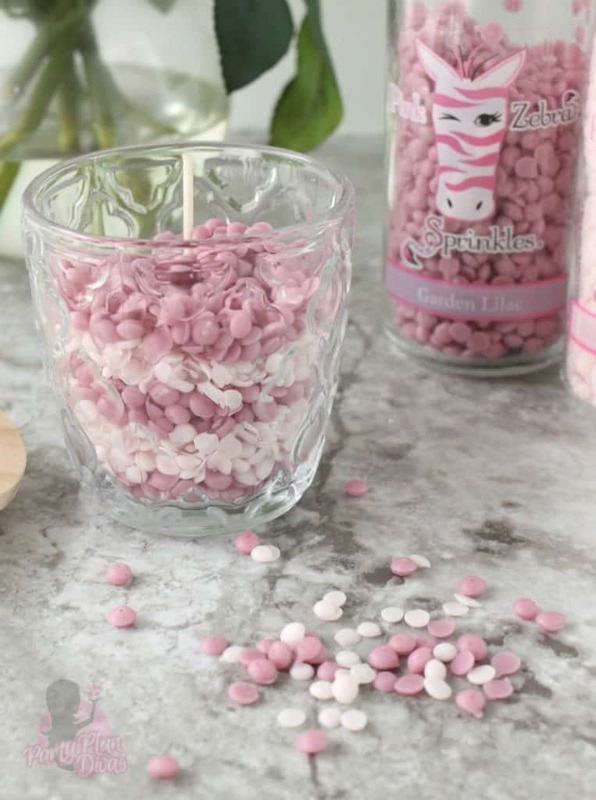 Pink Zebra is a direct sales company that revolutionized the “scented wax” industry by offering it in tiny little mixable sprinkles in a variety of scents. Their line has grown to include scented Soaks, Wicked Candles, Reed Diffusers and more! I am a huge fan of Pink Zebra and their Sprinkles because of how easy it is to fill your space with fragrance. Just a scoop of your favorite Sprinkles scent into your favorite warmer and voila! Independent Pink Zebra Consultant Ann Lammers sent in the Riviera Petite Glimmer Glass 2 pack and 2 jars of Sprinkles for this year’s Gift Guide. 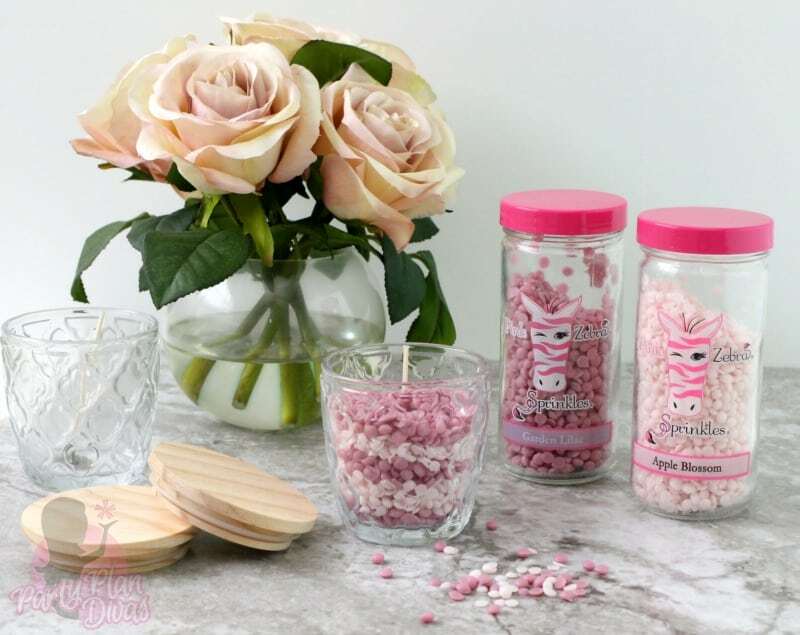 The Riviera Petite Glimmer Candle set is one of the DIY Glimmer Candles that lets you create your own wicked candle using Pink Zebra Sprinkles! You can choose to layer your Sprinkles or mix them together! Ann also sent in Garden Lilac and Apple Blossom Sprinkles which smell absolutely delicious and are perfect for Spring! Plus they totally match the colors in my office! Pink Zebra offers an impressive line of home fragrance and home decor to match any style. You can shop directly from Independent Pink Zebra Consultant Ann Lammer’s website or host a Blend Bash to earn free products for sharing with your friends. If you want even more, consider joining Ann’s Pink Zebra team and building a business with this unique and growing direct sales company. 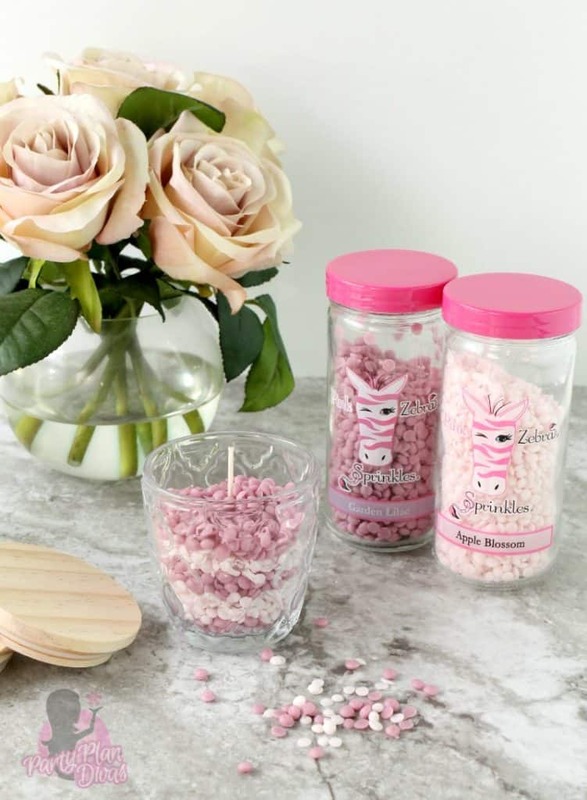 I am excited to offer one of my readers your own set of Riviera Petite Glimmer Glass 2 pack and 2 jars of Sprinkles from Independent Pink Zebra Consultant Ann Lammers! You can enter using the RaffleCopter widget below. Good luck!